The label of London's in demand and respected bloggers, DJs and producers Allez-Allez and noted illustrator / artist James Joyce. Founded with the idea to bring strange and beautiful new sounds and packaging to the ears and hands of the general public. Distributed by the good people at Kompakt, Amazing Sounds is the home of inspiring music of all genres - techno, dubstep, krautrock, electronica. The first release sees remixes of krautrock legends Harmonia & electronic demi-god Brian Eno's 'Tracks & Traces' album, by none other than modern day innovators Shackleton, and Appleblim w/ Komonazmuk. Look out for future releases / remixes from American electronic whizz kid Dan Deacon, Glaswegian wonky hip hop master Hudson Mohawke and Norfolk synth boffin Luke Abbott. The Still Sound remix 12" sees one of the stand out tracks from Toro Y Moi's critically acclaimed sophomore album get a reworking from the electronic mastermind that is Toby Tobias. On the flip side we hear work from a new name, Voodoo Bear aka Khaled Bourguig, a French graphic design student who started making music 6 years ago. Initially inspired by Hip Hop, Khaled's Voodoo Bear project blurs the line between electronic and organic music. "I favour the exercise of remix because it is something that I really appreciate. I love the fact that you can capture a song to make it a totally different version. It allows me to work and experiment a plenty of sounds." "what an amazing original ! 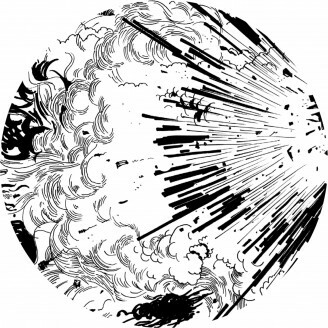 The second deep mix was a tribute to early nuphonic records" Toby Tobias Amazing Sounds, is the label of London's based DJs and producers Allez-Allez and noted illustrator / artist James Joyce. Founded with the idea to bring strange and beautiful new sounds and packaging to the ears and hands of the general public. 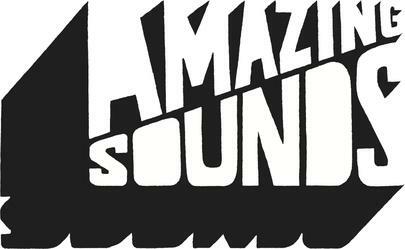 Distributed by the good people at Kompakt, Amazing Sounds is the home of inspiring music of all genres - techno, dubstep, krautrock, electronica.